IC Quizzicurl Sir Lucan is simply undescribable, he is one of a kind! Beautiful, loving, playful and slightly mad. Sir Lucan is our pride and joy. 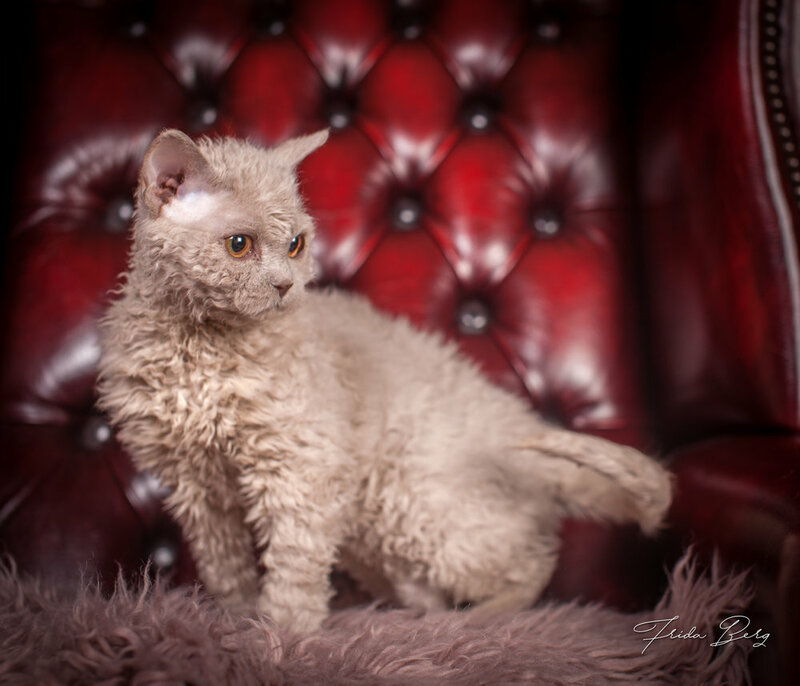 He is from Scotland, from the very lovely Christine Weber who runs the well known Quizzicurl Selkirk Rex cattery. Sir Lucan is born 15.08.2017, he is a homozygous longhair boy of lilac color (SRL c). Lucan loves everyone, and everyone loves him. He can be quite naughty, but always in a clownish way. Sir Lucan is the father of our litter D, his two daughters are Darya and Dorofeya. He has also fathered two sons, Milo and Lucas, with NO*Chibinichi Alyona.